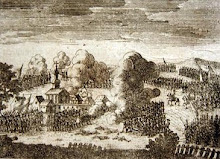 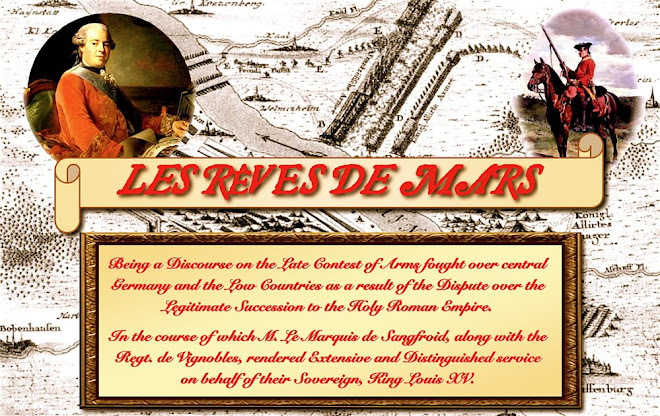 Les rêves de Mars: Rossbach Revisited, or: Futile Fury on the French Flank! 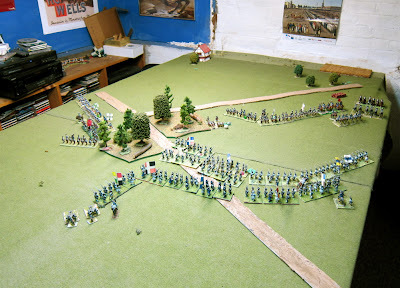 Your wonderful description has honored our battlefield. 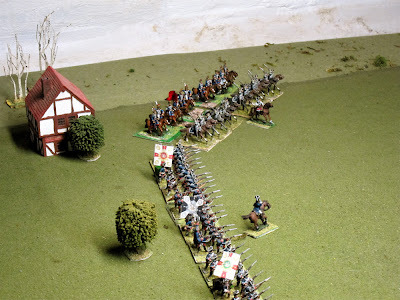 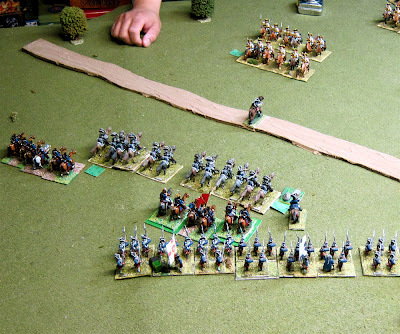 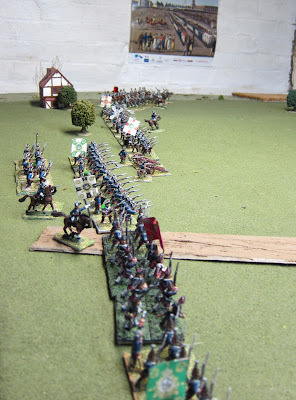 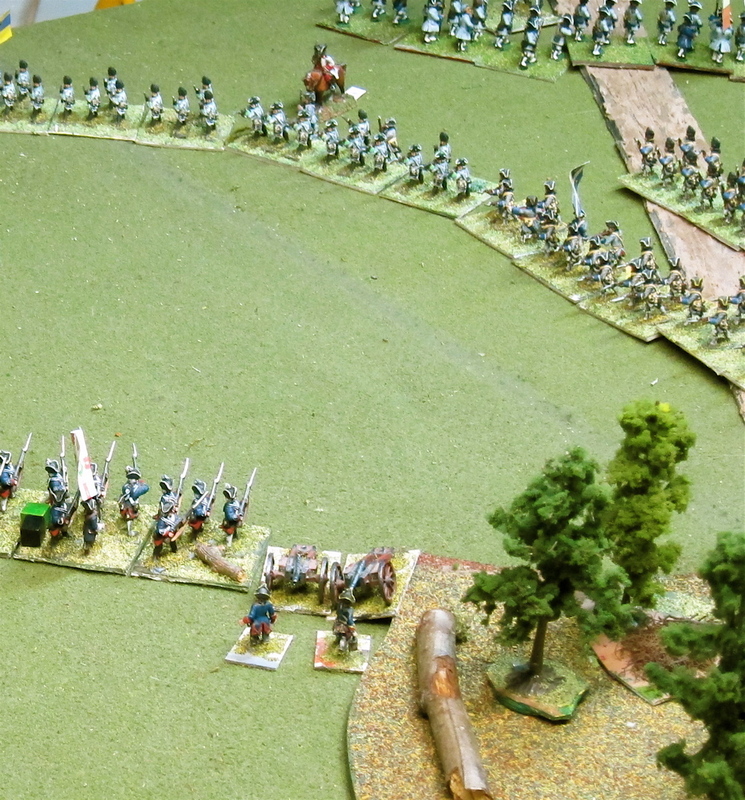 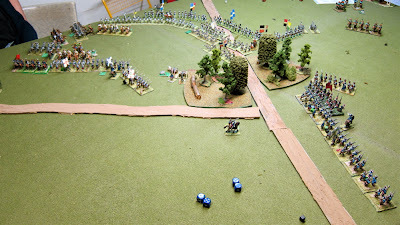 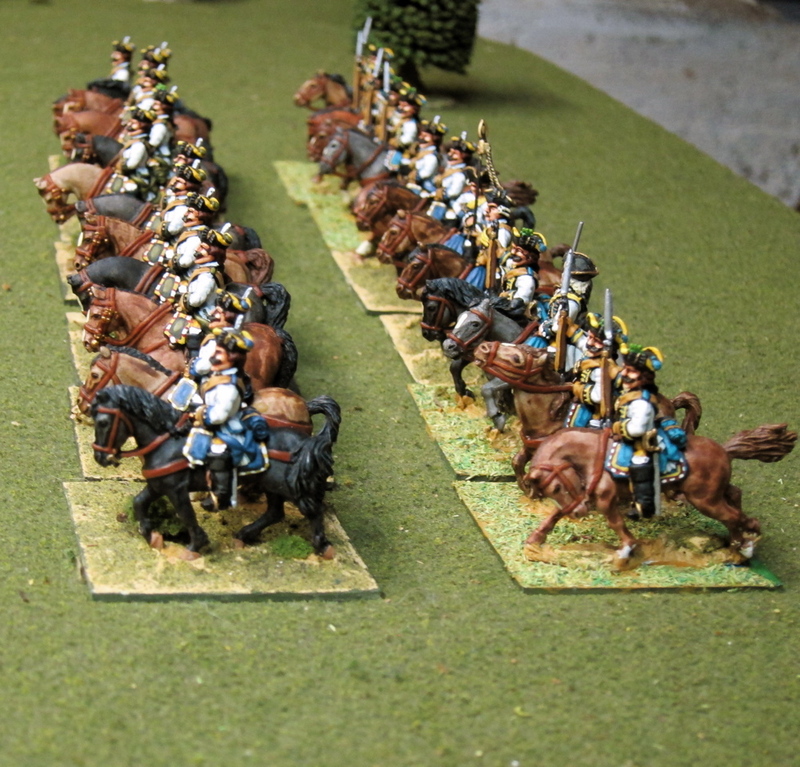 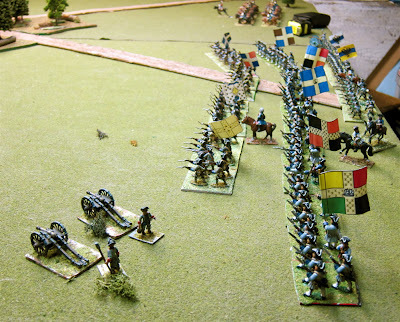 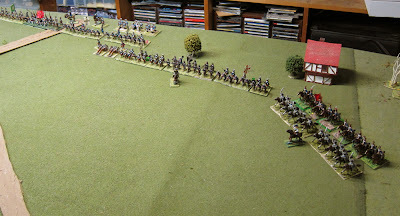 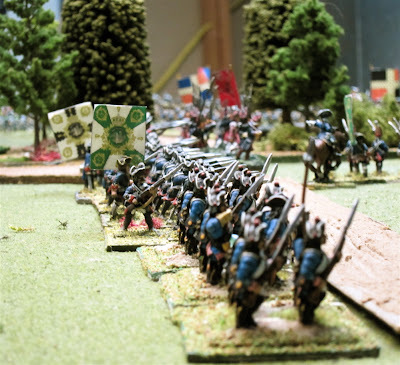 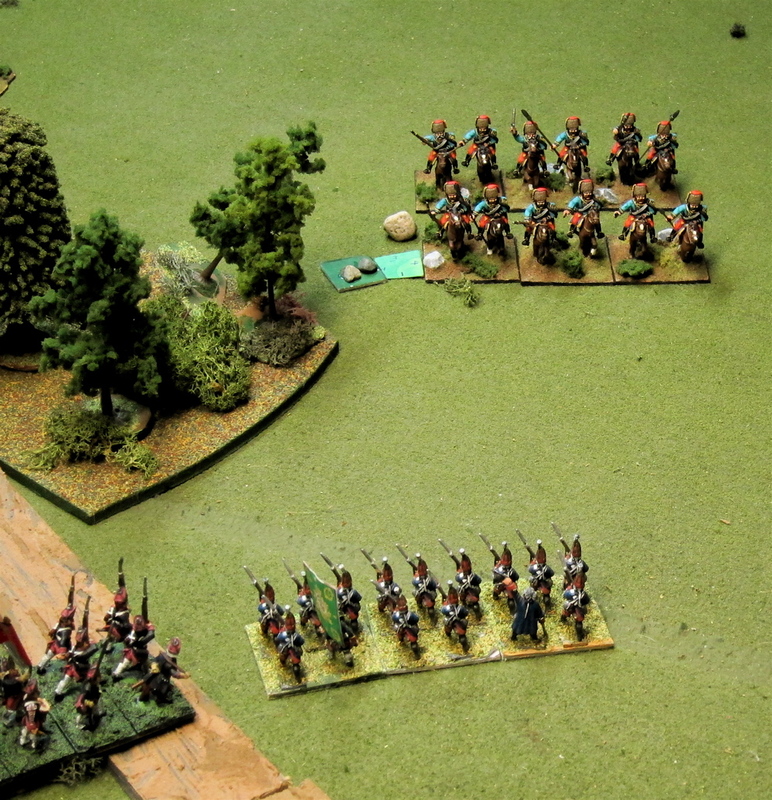 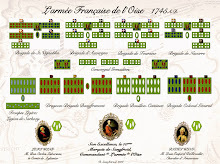 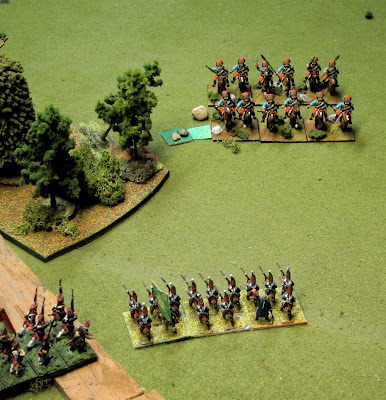 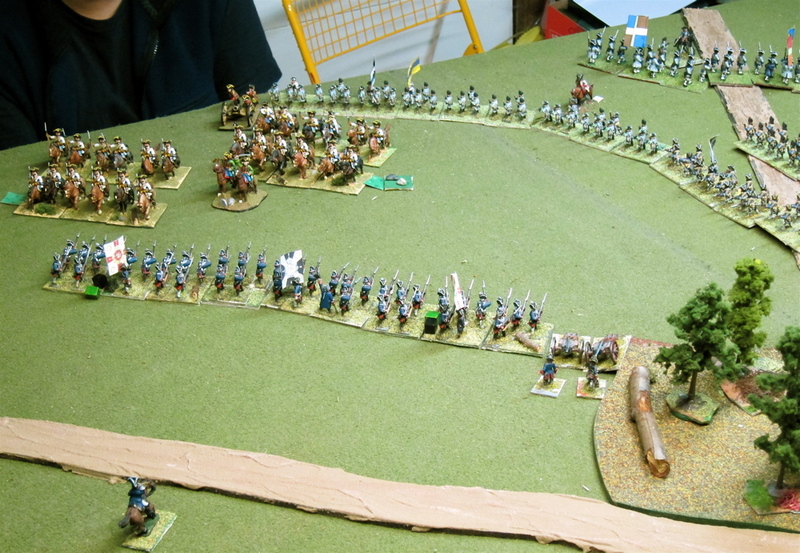 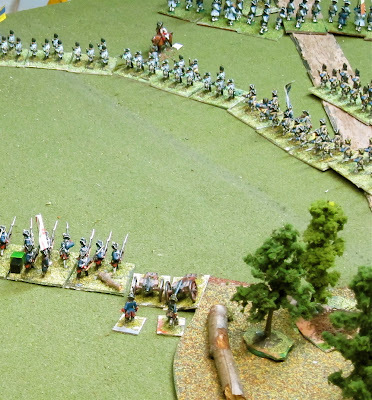 Another key to the sweep of this game was that we gave the Prussians a Command Level of 9 and the French had 8 - higher numbers than usual but the goal was to allow both armies to move and resolve the game. 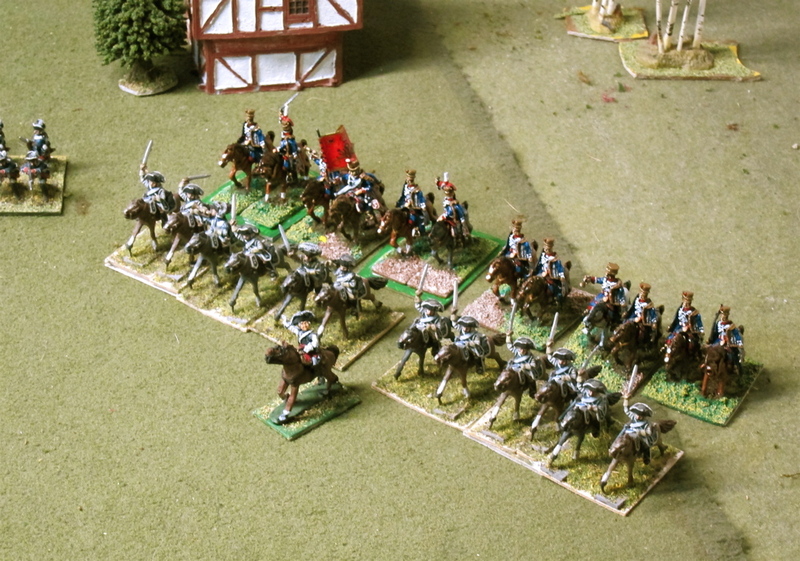 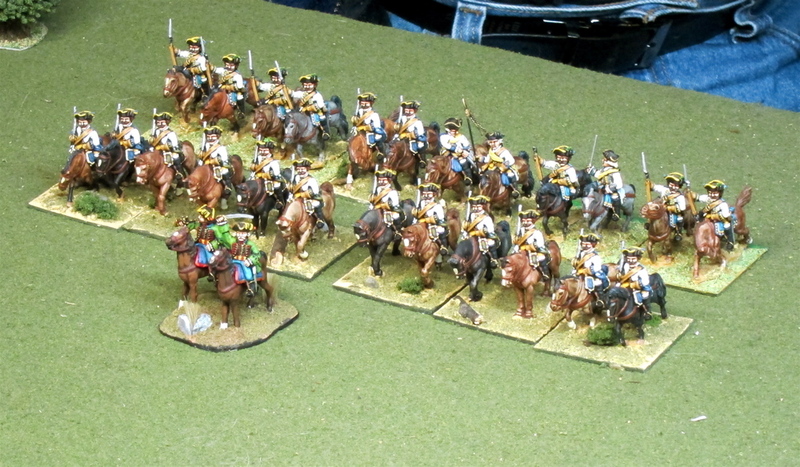 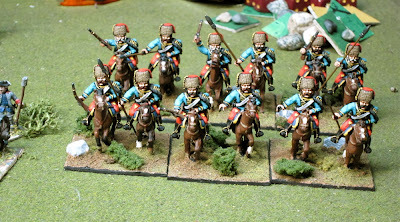 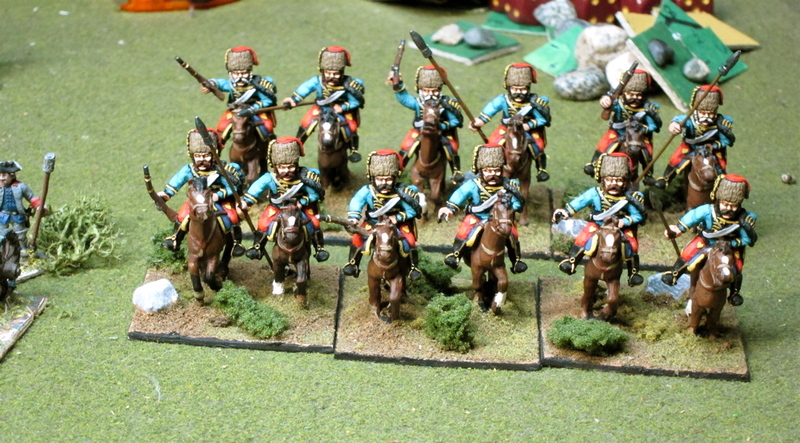 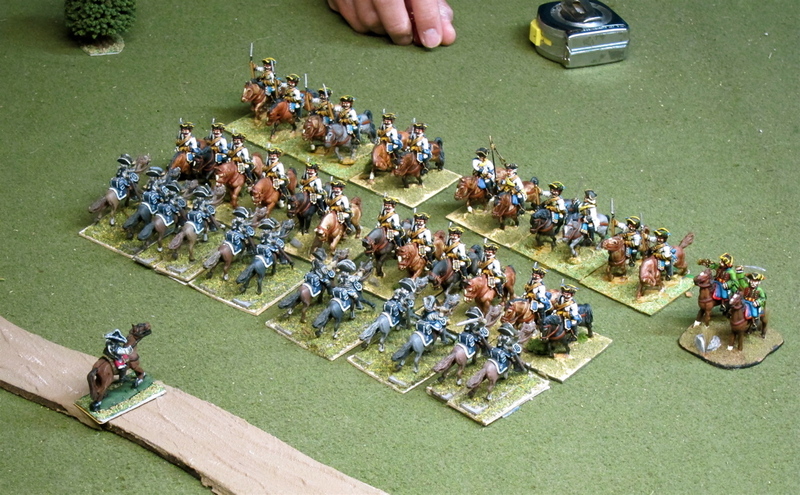 However, having all French brigades activate on 8s might have been too kind, given they outnumbered the Prussians by 3-2. 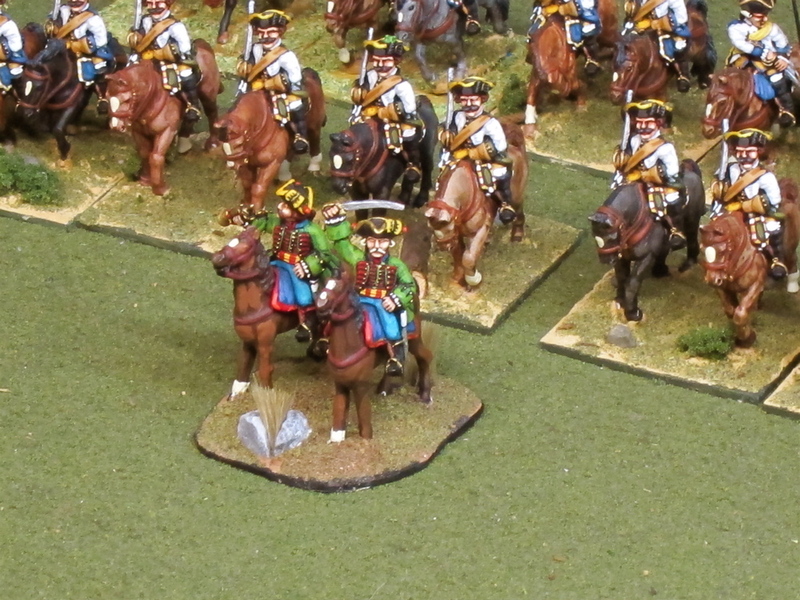 But a wonderful time was had by all - huzzah! 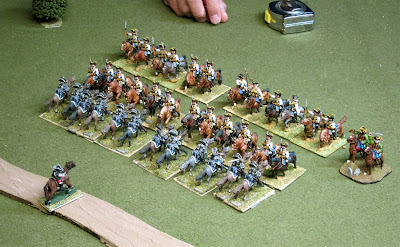 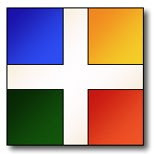 I also think WAS/7YW looks better with small battalions, one rank deep, once you have enough of them - otherwise it just doesn't look linear. 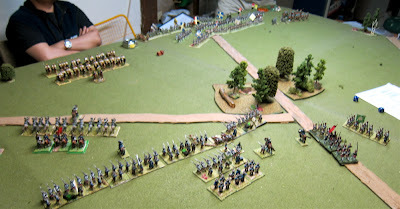 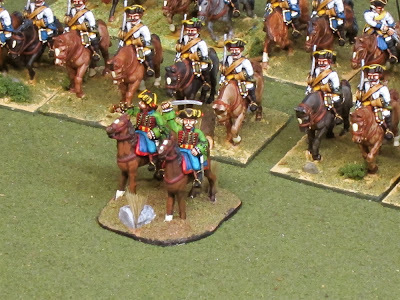 Very nice report, pictures and figs!